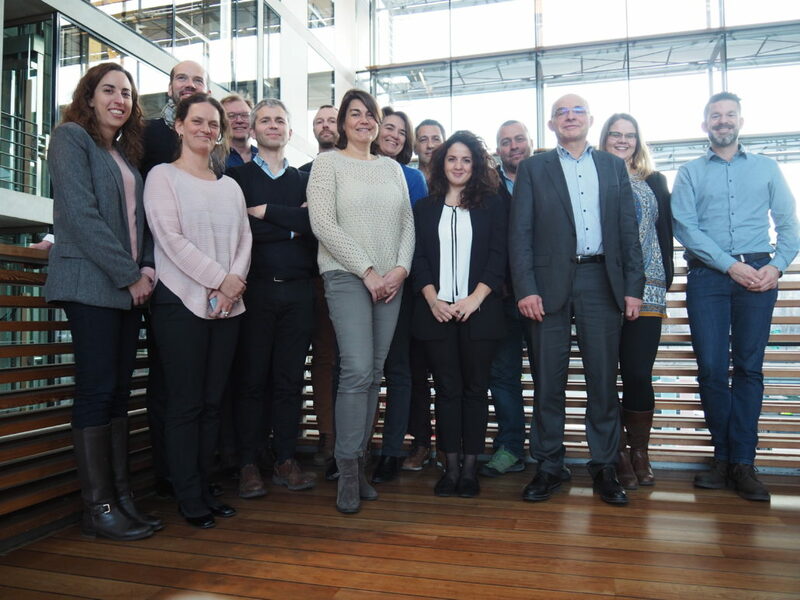 Representatives from twelve EATiP Mirror Platforms met in Berlin on January 22 and 23 to interact and to discuss common interregional challenges. Yolanda Molares (ACUIPLUS) was appointed as Mirror Platform chairperson. It was also decided to develop a document pointing out the priorities in aquaculture research and innovation, based on the draft EATiP position paper. The work will be carried out in four different working groups, i.e. Coldwater marine, Freshwater, Mediterranean and Shellfish, algae and other species. Results will be presented at the EATiP Annual General Meeting. The engagement in collaborative projects and joint actions was also discussed. After the meeting a visit was paid to the ECF Aquaponic Farm, a site located centrally in Berlin which combines cultivation of Tilapia with the production of basil. A technology platform for aquaculture has been set up in Greece with main objective to support the sustainable development of the sector. The Hellenic Technology Platform for Aquaculture (HE.TE.P.A) is an industry led initiative within the context of the European Technology Platforms aiming to become a key player in driving innovation, knowledge transfer and competitiveness to the aquaculture industry in Greece. Main stakeholders of the platform are experts from the industry and the academia who joined forces in order to shape the research agenda, identify R&D goals and mobilize both the private and public sector. As expected, the platform will, amongst others, develop an industry led research agenda, deliver solutions and foster networking at national and international level. Mr. Leonidas Papaharisis, chairman of HETEPA, following the election of the first BoD expressed his strong satisfaction for the creation of HETEPA as it marks will support the industry in becoming more competitive and maintain its leading position in Mediterranean aquaculture.